We’re firm believers in sealcoating here at Seal Pro’s Hawaii. Sealcoating a parking lot or driveway reduces its risk of cracking, improves its appearance and, in most cases, helps to double the lifespan of the asphalt. Cracking or fading asphalt is inevitable, especially in Hawaii where sunshine, rainfall and humidity is an everyday occurrence. Think of sealcoating as a sort of blockade that sunlight and rain cannot easily pass, preventing lots of damage before it can begin. 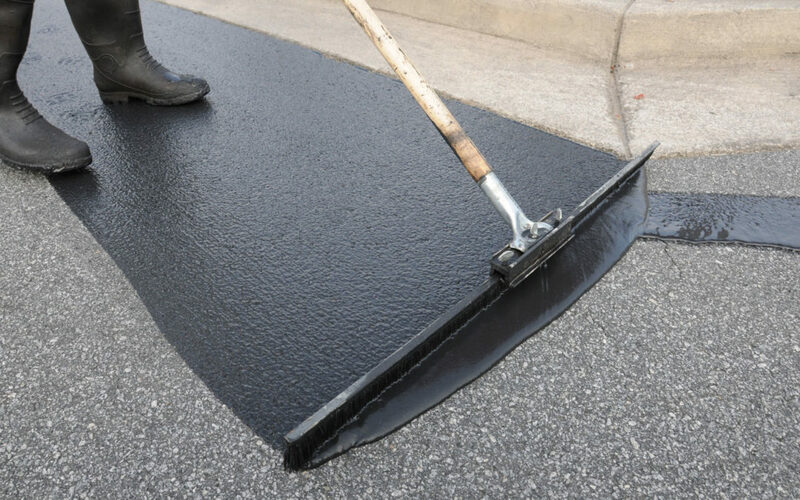 Sealcoating also creates a protective barrier for harsh fluids and motor oil that may drip through the asphalt and weaken the foundation underneath. It’s much easier to clean up a coated driveway or parking lot because the liquid sits on top of the seal for a longer period. It is key that you fill any large cracks with additional asphalt before sealcoating. Sealcoating is not meant to replace the driveway or parking lot itself, but rather keep it resilient and better looking. Sealcoating should be re-applied every three to five years for maximum protection. If your driveway or parking lot is looking weathered, worn out, cracked or faded it could be time for a fill and seal. Visit our Services page for more information on what we can do for you. You can even fill out an estimate form to get an idea on what prices you can expect for your project. We’re here to keep your driveway and parking lot looking brand new all year around.